When playing Rock, Paper, Scissors, I'll always lean toward paper. Why? 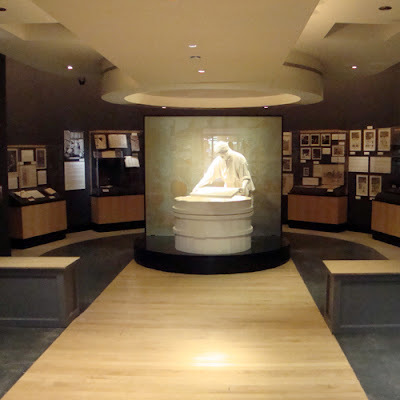 One of my favorite "hidden gems" in Atlanta is without question the "Robert C. Williams American Museum of Papermaking." Part of the Georgia Institute of Technology, I pass by the Paper Museum, located on 10th Street the opposite side of Interstate 85 from Midtown. It's so easy to get to, easy to park (free), and an individual self-guided tour is free (although a $3 donation is greatly appreciated). I've discovered since talking about the Museum with friends and coworkers that those with an art background or interest in the arts or those who are artists themselves tend to be the most interested in seeing the Museum. Personally, I think it's an excellent destination for everyone...I mean, try to imagine our world today without paper.